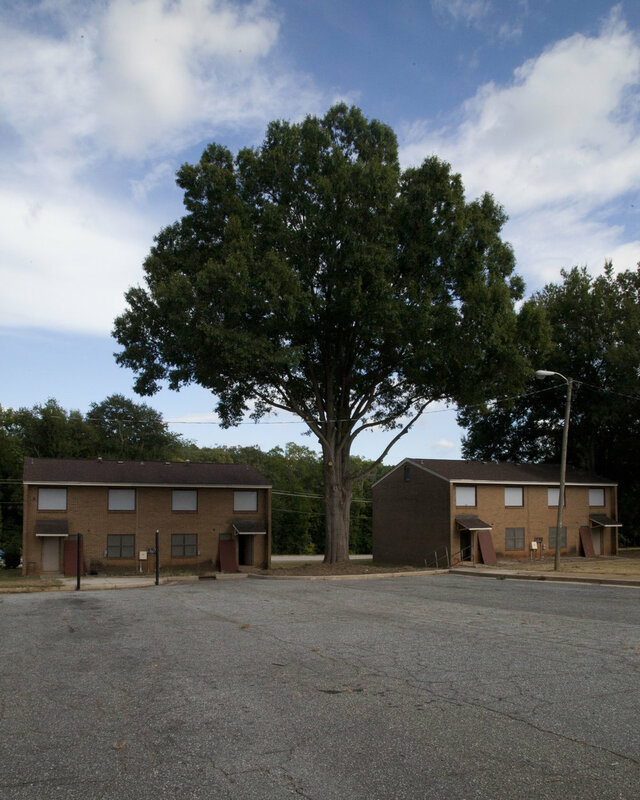 The City of Spartanburg was selected as one of four cities to participate as part of the Bloomberg Philanthropies Public Art Challenge, a new program to support temporary public art projects that celebrate creativity, enhance urban identity, encourage public-private partnerships, and drive economic development. 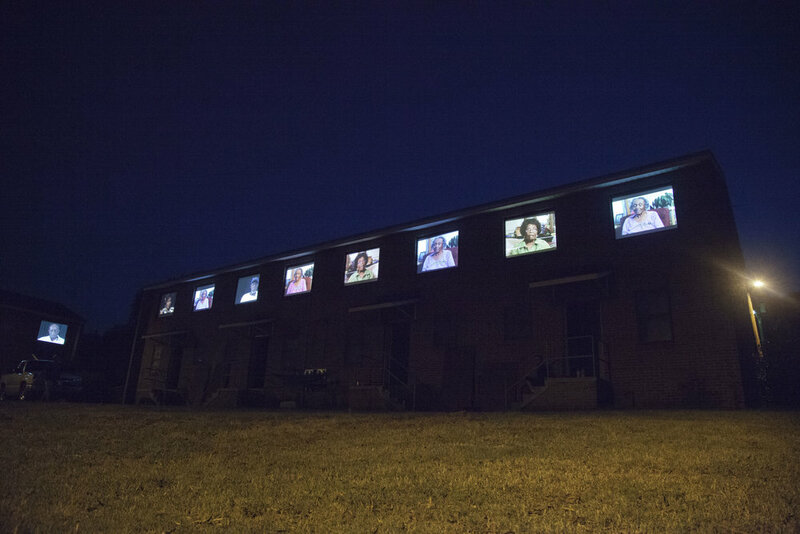 Seeing Spartanburg in a New Light brought nine temporary art installations to public spaces in ten neighborhoods throughout the city. 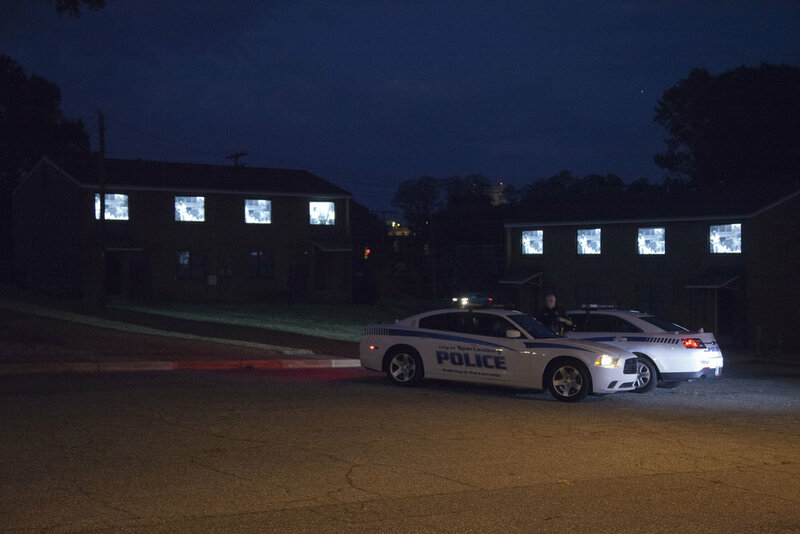 The project was a partnership among the City of Spartanburg Police and Community Relations Departments, internationally renowned light and digital media artist Erwin Redl, the Chapman Cultural Center, and neighborhood associations in the city of Spartanburg. Seeing Spartanburg in a New Light, built on National Night Out, an annual event that promotes crime prevention efforts, police-community partnership, and neighborhood camaraderie. 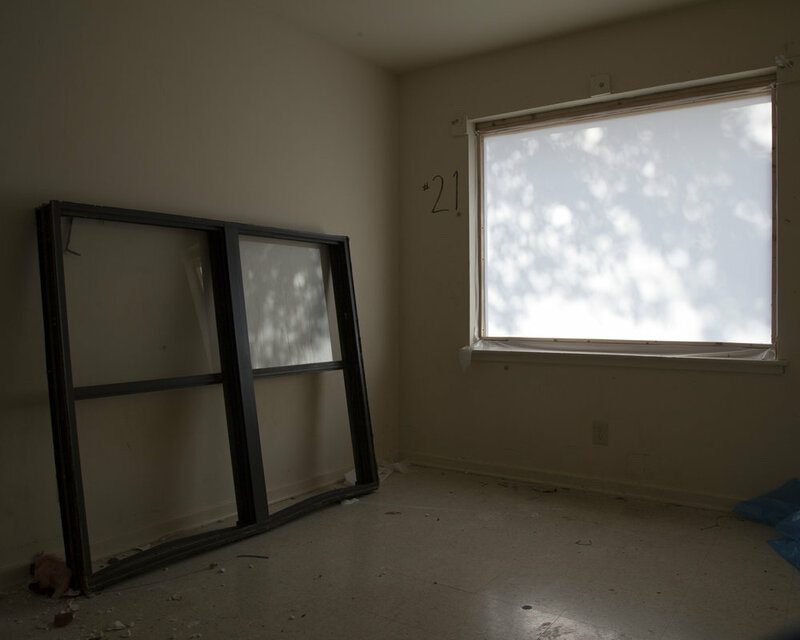 I volunteered during installation for several pieces and documented the process.